Part of St James’ parish lies within an area nowadays referred to as “Docklands”, a part of London whose livelihood depended on trade through the nearby docks. Ports further downstream expanded and by the 1970’s the old docks had closed. During the 1980s a start was made in regenerating the old dockland area, with dramatic results. Europe’s tallest building now dominates the skyline over this part of London and houses, flats and office blocks fill once redundant land. Elsewhere, derelict warehouses have been restored and found new uses. The London Docklands Development Corporation supported the cleaning of the exterior of virtually all the historic churches in the area. St. James, Bermondsey is a very active church and it was hardly surprising that it would wish to restore its bells too. In December1989, knowing that the LDDC funded contract for the refurbishment of the exterior stonework of St. James’ would provide scaffolding up to the bell-chamber and beyond, the idea to restore the un-ringable ring of ten bells was resurrected – it had been discussed in 1970, but the previous proposals had come to nothing and the bells were left to continue to deteriorate. The free use of the scaffolding was important because the organ prevented lowering the bells inside the tower in the usual way, and everything had to come out and go back in through the louvres. The parish contacted Roger Booth, who in turn enlisted Robert Cooles and both examined the earlier proposals for re-hanging the existing 27 cwt ring of ten, or recasting them into a new 15 cwt eight or 4 cwt ring of six. They considered that a light ring was totally inappropriate and having carefully considered both other options, recommended a new 15 cwt eight. There was also a possibility that the existing ten could be found a new home. The proposal was welcomed by the PCC and, thanks to the support of the Archdeacon, Douglas Bartles-Smith, the scheme received the support of the Diocesan Advisory Committee. The London County Association and the Surrey Association promised grants totalling £6,500 and a further £2,000 was promised by the Manifold Trust. A buyer was identified to purchase the old ring of ten bells and in total we already had sufficient to pay for the new frame and the tenor bell, so we set out to raise the balance of £33,000. Whilst small donations were welcome, our only hope of raising the money in time rested in securing several large donations and we set out to find donors for each of the remaining seven bells. 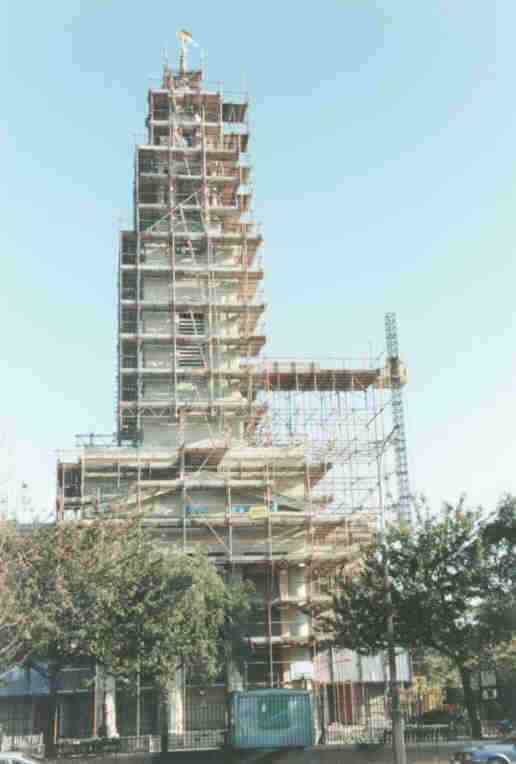 The project could not proceed until formal permission had been given by the Chancellor of the Diocese, and an application for a faculty was made in June 1990 – as the scaffolding started to rise around the church. Money had come in slowly at first, but we soon found donors for two more bells. 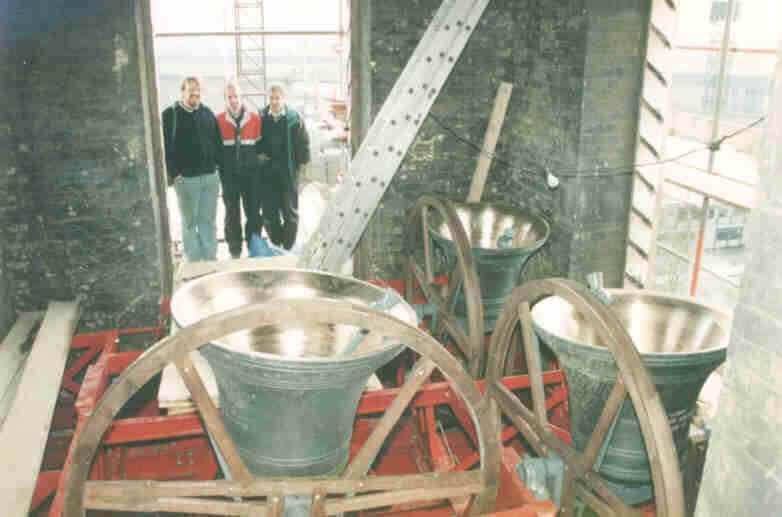 With orders for new bells and frames taking several months to mature, and the scaffolding only in place for a limited period, timing was crucial and a decision to order the frame and three heaviest bells was required. It was at this point that English Heritage, to whom St. James is committed following substantial grants towards re-roofing work carried out in 1987/8, commented that it would prefer to see the existing bells retained as they were contemporary with the rest of the building. The Chancellor was bound to take note of their view, which English Heritage was entitled to make. There followed two meetings in the bell-chamber and a flurry of correspondence. 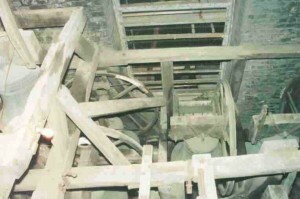 In accordance with English Heritage’s wishes, alternative prices were obtained to overhaul and re-hang the ten existing bells in a new frame. The cost was significantly more than the scheme preferred by the church, partly because VAT applied to the whole of the works and English Heritage wished to see the existing frame preserved and lifted higher in the tower. We would also have lost the benefit of the sale of the existing bells and the cash flow that produced. Would the two donors still be willing to contribute to the scheme if there were no new bells for their inscriptions and would others still come forward? 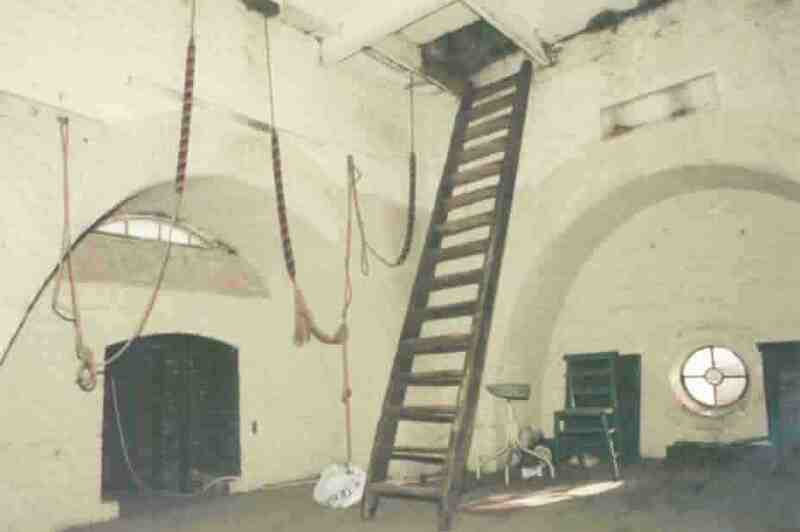 In fact, if the old bells were not sold, there was not even sufficient finance to pay for the new frame, let alone re-tune and hang the ten bells. We therefore applied to English Heritage for a grant to cover the increase in cost. There was a very real danger that if no decision was made, we would simply run out of time to get the new installation manufactured and installed before the scaffold was due to come down. To us, no decision was as good as a refusal and the bells would have been left for a future generation to restore. Simon Hughes, our local MP, member of the General Synod and regular worshipper at St. James, wrote to English Heritage on our behalf requesting that the matter be resolved quickly. 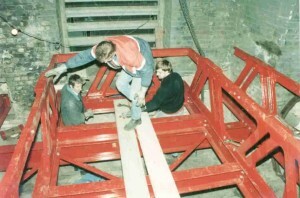 A few days later, at the end of August 1990, English Heritage agreed to suspend the conditions of their previous grant for the roofing works, which gave them the right to consent to any future works of alteration to the church. 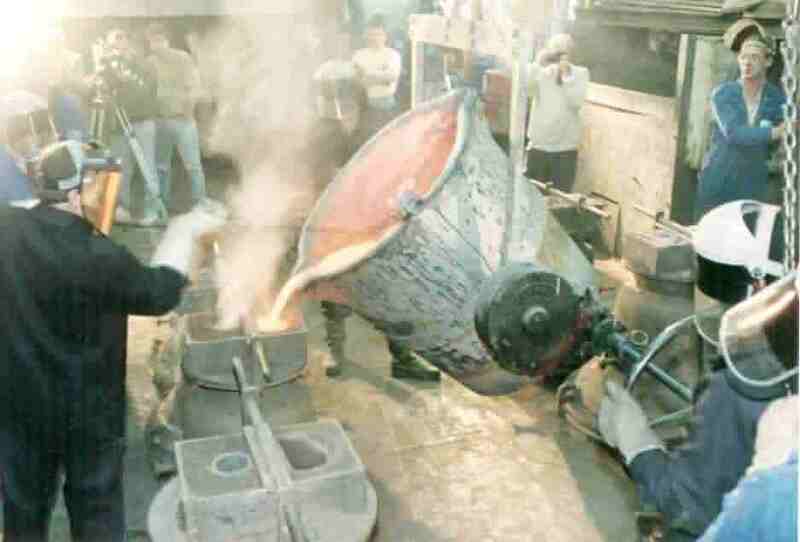 The Chancellor accordingly issued the faculty and the order was placed with the Whitechapel Bellfoundry for the manufacture of the frame and the three heaviest bells. Things now started to move quickly. From the outset some remained sceptical that the project would ever get underway. The sceptics now grudgingly acknowledged that we might soon have a ringable three. The old bells were last rung over the weekend 29 and 30 September and over the coming evenings and weekends the frame was gradually dismantled and the bells were finally removed on 29th October. The frame had been carefully measured and photographed to enable an accurate record to be kept. At last people could see physical progress and after several months’ uncertainty the project was going ahead. During October, donors for three more bells came forward, bringing the total of bells to six and these were duly ordered. November saw considerable voluntary labour input, both from the ringing fraternity and a dedicated group of parishioners. The old bell-chamber floor and ringing room ceilings were stripped out and holes cut in the tower walls to take the padstones for the new frame. The frame arrived in late November. 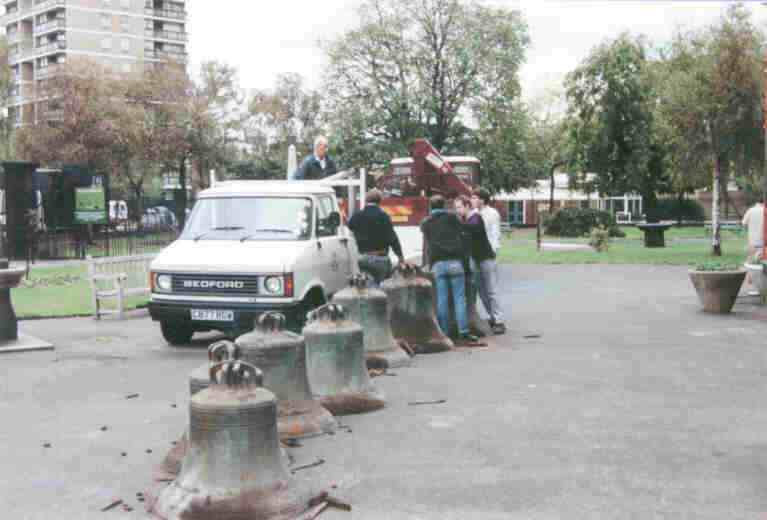 This was quickly installed and the first three bells were then hung under the direction of Phil Jakeman from Whitechapel. Things continued to move quickly. The louvres were repainted and then apprentice bricklayers from a Docklands training scheme blocked up three sets of louvres internally as part of the sound control system. 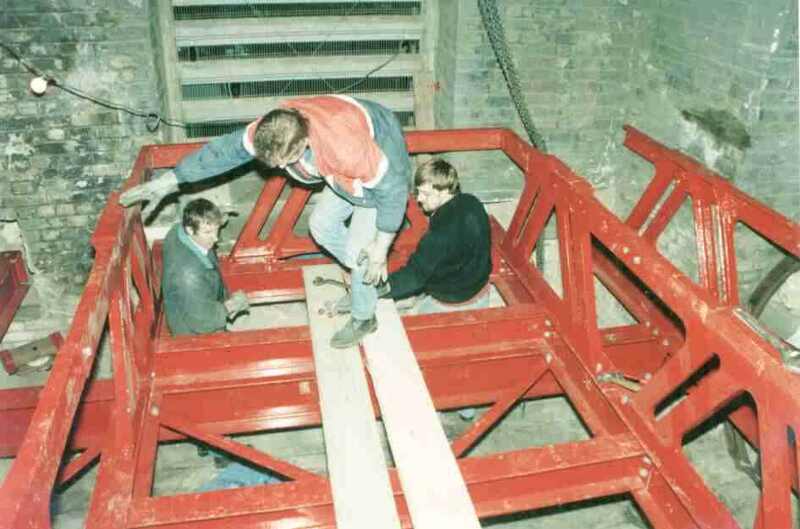 The three bells were first officially rung for the Christmas 1990 carol service and over the following weeks work continued with decorating the ringing chamber and forming a new ringing chamber ceiling. The next three bells were cast just before Christmas and were hung at the end of January. Many local people had helped with the DIY work and it was natural that some of these would help form the nucleus of the new local band. 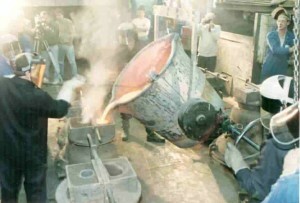 The first practice was held at the beginning of February 1991. For several months, two practices a week were held. By June 1991 most of our beginners were able to ring rounds, even though all together the result was a bit shaky. A deliberate decision had been taken not to dedicate the bells until they could be rung by the local band, and they were dedicated by the Archdeacon on 16th June 1991. The service was attended by many ringers, particularly from the Surrey Association of Bellringers who had promised a £5,000 grant in the early critical stages and many members had helped with the voluntary labour. 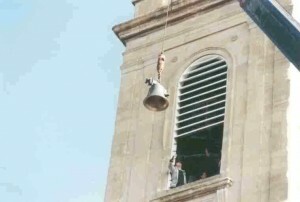 Since the dedication the bells have been rung most Sundays by the local band. All of this would never have been thought possible before 1990. 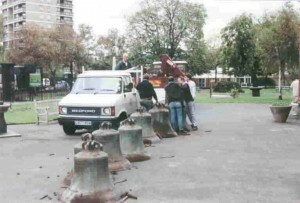 Between February and October 1991 donors for the next two bells were found, thus enabling us to complete the octave. The treble was donated by Terence Driscoll, a local hotel owner, who once worked as an apprentice for Gillett & Johnston of Croydon. The second was donated by the City of London Royal Marines Reserve in memory of their commanding officer, Colonel Trevor Farmer. These two bells were cast at the’ beginning of October 1991 in the presence of the donors and hung on 4th November. Five months after the dedication of the six, the dedication of the eight took place. The dedication appropriately took place on Remembrance Sunday, attended by the City of London Royal Marine Reserve, who paraded in full uniform from their head-quarters nearby. The bells were rung half-muffled before and after the service and many non-ringers came up to see the ringers afterwards.